In general, if you fly any airline frequently, you’ll benefit from having their branded credit card. Doing so can provide the perks of free checked bags, discounted or complimentary lounge access, priority boarding, upgraded seating, and quicker trips through security. You’ll also earn frequent flyer miles quickly so you can book award flights faster. Having a United-branded credit card can deliver all these benefits and more. Even if you travel just a few times a year, you’re sure to find value from one of the offered United credit cards. You’re probably wondering, however, which United credit card is the best one for your situation or if there are other travel rewards cards that benefit the United flyer more. We’ve assembled the best credit cards available for United flyers along with benefits for each card so you can see which card might be best for you. We all enjoy the savings that come with free checked bags and the convenience of early boarding. Here’s a list of the basic flight benefits each card provides. Bottom Line: The savings earned from having free checked bags and the convenience of boarding early are valued benefits that come with United-branded credit cards. Each of the United-branded credit cards listed above earns 2 miles per one dollar spent with United. This ensures that all flight purchases are earning you more miles toward your next award redemption. 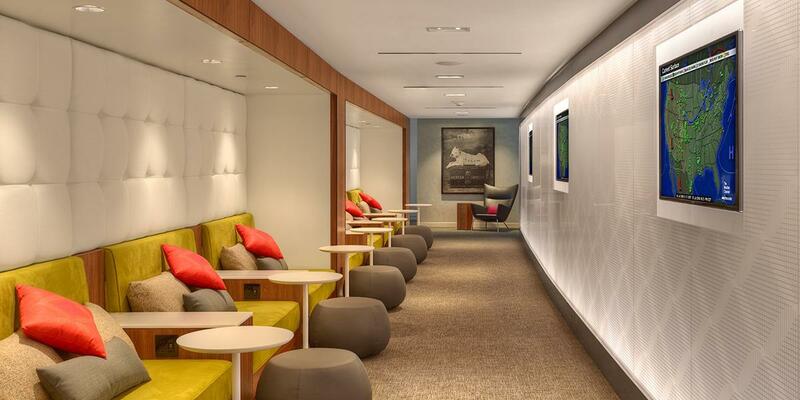 Having access to an airport lounge can certainly elevate your travel experience. Lounge access, however, can be expensive. A single one-year membership to the United Club currently costs $450-$550 depending on the prospective member’s current MileagePlus status level. Adding a companion to your membership will cost an additional $550 and even a single-day pass will cost $59 per person. As you can see, having complimentary lounge access is an immediate savings of at least $450 a year. Complimentary membership provides access to United Club lounges and select affiliated Star Alliance lounges for the cardholder and their immediate family members, or for 2 additional guests. Hot Tip: If worldwide lounge access is your top priority and you fly several different airlines, you should check out the Platinum Card® from American Express. In addition to a long list of luxury travel benefits, the card offers complimentary access for the cardholder and 2 guests to over 1,200 lounges throughout the world. There are several benefits to having elite status in United’s MileagePlus® frequent-flyer program. First and foremost, United Premier elite status is the number one factor considered in whether or not you receive an upgraded seat on your flight. The extra leg room in United Airlines Economy Plus makes travel more comfortable. Image courtesy of united.com. The additional benefits of having Premier Elite status include allowing you to earn bonus frequent-flyer miles based on your Premier status level. Priority boarding, seat selection, and fee waivers also add to the benefits. Let’s take a look at what it takes to earn United MileagePlus Premier status. First and foremost, you’ll need to fly the required amount of Elite Qualifying Miles to earn Premier status with United. One of the additional requirements of qualifying for Premier status is the level of Elite Qualifying Dollars (dollars spent on United flights). United credit cards can help you meet these EQD spending levels by providing a waiver if you spend $25,000 on your United-branded card. For example, if you flew 50,000 EQMs in a calendar year, you would need to have $6,000 in EQDs to make Premier Gold status. If you spend $25,000 on your United credit card, that $6,000 EQD requirement is waived. The waiver is offered to Premier Silver, Premier Gold, and Premier Platinum qualifying members, but not Premier 1K® members. Bottom Line: Spending $25,000 in a calendar year on your United credit card waives the EQD requirements to qualify for Premier Silver, Gold and Platinum levels of United Premier status. 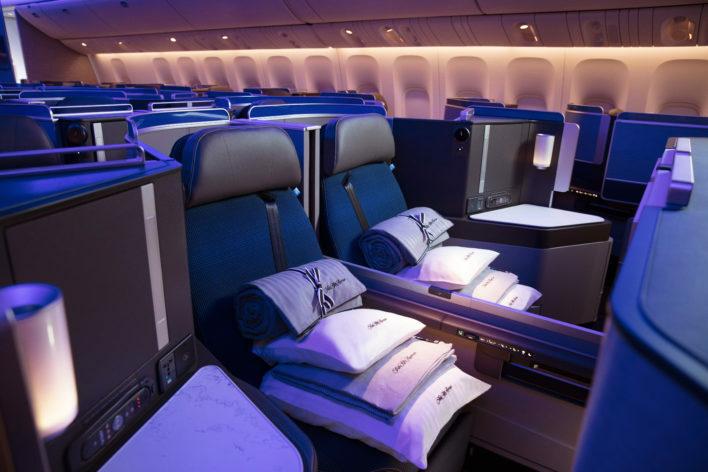 United MileagePlus Club cardholders (business and personal versions), who are Premier members, receive seat upgrade priority over those passengers in the same Premier level. For example, if you have United Premier Silver status and have a United MileagePlus Club Card, you will have upgrade priority over a passenger who is also United Premier Silver but who doesn’t have the United MileagePlus Club card. Additionally, any MileagePlus member, including non-Premier members, can request to upgrade an eligible flight with miles. These MileagePlus Upgrade Award requests, if not immediately available, are waitlisted and processed in the following priority order. All Premier United MileagePlus cardholders qualify for upgrades on United award tickets. United MileagePlus cardholders will want to sign into their MileagePlus frequent-flyer account before searching for flights as MileagePlus cardholders (and elite members) receive expanded access to more award flight options. For more information on how to get upgraded on United, check out our informative guide. As a frequent United flyer, you want to ensure that you’re getting the most from your United-branded credit card. While we’ve covered most of those United-related benefits thus far, a summary of each card is useful. Whether traveling for business or pleasure, the perks that come with a United business credit card can make your trip more comfortable and even save you money. Even small businesses can earn a lot of United miles quickly with either of these United-branded business cards. Bottom Line: United’s 4 core credit cards offer plenty of flight benefits, complimentary lounge access, and a faster path to Premier status. They also offer accelerated earnings of 2 miles per dollar spent on United. While the cards we’ve discussed in this article require a good or excellent credit score, you don’t need a stellar credit score to earn United MileagePlus miles on your purchases. The MileagePlus® GO Visa® Prepaid Card earns up to 2 miles per dollar spent on all purchases. The MileagePlus GO Visa Prepaid card does charge a monthly ($5.95) or annual ($85) fee, however, there are some benefits that come with this card. If you select the monthly plan, you’ll earn 1 mile per $2 spent on the card. If you select the annual plan, you’ll earn 1 mile per dollar spent on the card. If you’re able to earn 2,500 miles per month, which is the monthly maximum, you could end up with 30,000 miles each year. That’s enough for a one-way ticket to Europe or nearly enough for a round trip to the Caribbean. If you’re earning the maximum interest on the account ($50 on $1000), your net cost for 30,000 miles would be $35 which is the $85 annual fee minus the interest received. Note that the card does not report to credit bureaus so you will not be building or rebuilding credit. Our guide on the best credit cards for bad credit can help you find the best card if you’re trying to build or rebuild your credit. If you’re looking for alternative ways of building/re-building your credit, also check out our complete guide to Self Lender. This card is not your best choice if you have sufficient credit to qualify for a United-branded or other travel rewards credit card. Regardless of the corresponding benefits, some travelers prefer a credit card that doesn’t have an annual fee. The United TravelBank card earns United TravelBank dollars, all without an annual fee. Note that TravelBank dollars can only be redeemed United. The card does not come with any United flight benefits, lounge access, the EQD waiver, or expanded award availability. Hot Tip: Since the United TravelBank card does not offer any related United benefits, you might fare better with a travel rewards credit card such as the Chase Freedom Unlimited ($0 annual fee) card that earns 3% on purchases up to $20,000 spent in the first year; after that, earn 1.5% cash back (Ultimate Rewards Points) on all purchases. Points can be redeemed for United flights (or any other airline) via the Chase Travel Portal or transferred to premium Chase credit cards for even greater redemption value. Not all benefits are available on all United credit cards. The actual benefits on your specific United-branded credit card, along with the terms and conditions, can be found in your benefits guide that comes with the card. Transfer points you’ve earned on other credit cards to redeem for premium experiences such as United Airlines Polaris Business Class. Image courtesy of united.com. If you currently have credit cards that earn Chase Ultimate Rewards points, Marriott Bonvoy Rewards points, or American Express Membership Rewards points, you may have the ability to transfer those points to United or other Star Alliance airline partners. Chase Ultimate Rewards points are easy to earn and transfer to United. Ultimate Rewards Points transfer to United at the ratio of 1:1. These recommended Chase credit cards are great for earning Ultimate Rewards points but also great for redeeming Ultimate Rewards points for purchasing United flights via the Chase Ultimate Rewards Travel Portal. Be sure to check both transferring points and purchasing options to determine which one gives you the best value. Marriott Bonvoy points can be transferred to United at the rate of 3 Marriott Points to 1 United mile. Additionally, for every 60,000 Marriott Bonvoy Points transferred, you’ll receive a bonus 5,500 miles for a total of 25,500 miles. American Express Membership Rewards points cannot be transferred directly to United. However, you may be able to transfer to other Star Alliance airline partners and then book United flights. Hot Tip: Transferring points to United may not be the best value for your points. Be sure to explore purchasing the ticket with points (Ultimate Rewards Points), the cost of purchasing the United ticket outright, and the cost to purchase an award ticket with United miles, prior to making any transfer. The best rate you can earn with United-branded credit cards for purchasing flights on United is 2 miles per dollar spent. Several premium rewards credit cards offer better earnings and more benefits for the frequent traveler who travels with other airlines, in addition to United. Bottom Line: Depending on your traveler profile, the United-branded credit card may not be the best overall credit card for the United flyer. If you travel even a few times a year on United, you could benefit from a United-branded credit card. 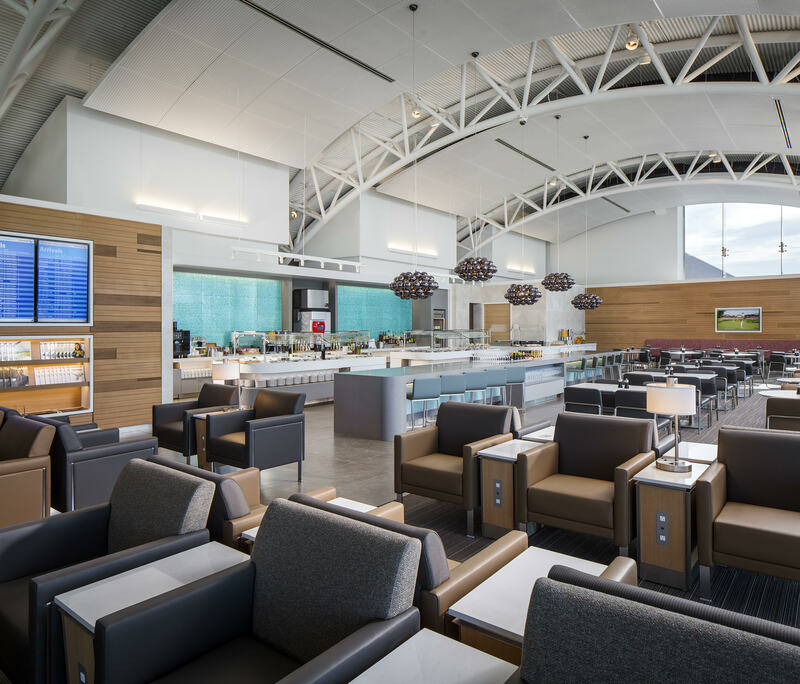 Additionally, if you are currently paying for a United Club annual membership, a United MileagePlus® Club Card with complimentary lounge could be an appropriate and economical choice. If you travel enough with United to qualify for Premier status, you may already be receiving benefits such as free checked bags, priority boarding, and other flight benefits. You may not gain a lot of additional value from a United-branded card. If you frequently fly on other airlines in addition to United, pay for an annual lounge membership, and spend a lot on travel in general, having just the United credit card may not be the best choice. A premium travel rewards credit card could be a better fit. Which is the best United credit card? The best United-branded credit card will depend on how often you fly United, your travel benefit preferences, and your tolerance for paying an annual fee. For lounge access, flight benefits, and earning United miles, the United MileagePlus Club card offers a nice level of benefits for the traveler who frequently flies on United. Complimentary lounge membership alone makes up for the annual $450 fee. If you travel just a few times a year on United, you’ll still benefit from the United MileagePlus Explorer card. It comes with a free checked bag, priority boarding, 2 free lounge passes, and you’ll be earning 2 miles per dollar spent on United. United miles do not expire as long as you hold a United-branded MileagePlus credit card. When you earn United miles by spending on your credit card, they are subsequently deposited into your MileagePlus frequent flyer account which is separate from your credit card account. If you cancel your credit card, your miles will expire based on the MileagePlus rule that states that miles expire after 18 months without any activity in your frequent flyer account. Can I transfer United miles to other airlines? Unfortunately you cannot transfer United miles to other airlines. You can, however, use United miles to purchase award flights on more than 20 partner Star Alliance airlines. How many miles does it take for a free flight on United? The amount of miles needed for an award flight is based on your departure region, destination region, and availability. A one-way domestic flight of 700 miles or less on United, for example, starts at 10,000 miles for what is called a Saver Award fare. A round-trip ticket to Europe starts at 60,000 miles for a Saver Award fare. You can also use United miles to upgrade flights. The number of miles needed to upgrade is determined by booking class and the class to which you’d like to upgrade.